Daniel is an energetic youth who enjoys activities that keep him on the move. He loves to play with his Batman and other action figures, especially the wrestler, John Cena. He also loves shopping and going out to eat. Daniel likes to watch television, play with his toys, and play with Legos. He enjoys watching "Paw Patrol" and other cartoons. Daniel is explorative and likes to learn new things and then show he can apply what he has learned. He is soft-spoken, affectionate, and has a lot of love to give to a family. He is outgoing and finds excitement in traveling and seeing new places. Daniel loves positive feedback and compliments. He works very hard in his speech and occupational therapies. Daniel has a great appetite and plays independently. He follows directions and is easily redirected when needed. He will melt your heart when you meet him! Daniel is a bit weary around animals, especially dogs. With encouragement and knowing an adult is very close at hand, he will venture out and pet a dog sometimes. Daniel walks with an abnormal gait, as he was born with hip dysplasia. He needs assistance or reminders to attend to some activities of daily living. He is improving, yet could still use prompting, especially with personal hygiene. He receives supportive services at school. Daniel's teachers report that he is a joy to have in the classroom. 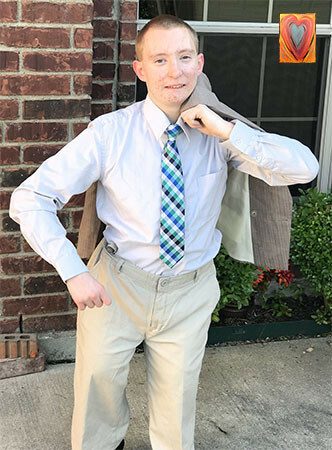 Daniel is unsure of what the future holds for him and is looking forward to having a forever family of his own that he can depend on, trust, and help him be the best he can be. Visit me at the Heart Gallery of North East Texas. View my video on KLTV7 "Gift of Love". Daniel's family will be ready to embrace him with unconditional love and assurance. His family will be patient, willing to take the time to answer his questions, and give him hugs and reassurance that he is wanted and loved. Daniel's family will provide him with a firm, consistent structure with clearly defined limits and consequences. They will support and encourage him as he learns to follow the family's rules and practice expressing his emotions appropriately. Daniel's family will continue to advocate for him in school to ensure he is able to reach his full academic potential. Daniel needs a secure and nurturing environment where he can receive the individual attention he requires.